Well I was going to edit my last post to try to add an image but can't for the life of me find my way round your forum! It won't let me edit and there's no facility to add a picture either???? Eeep! 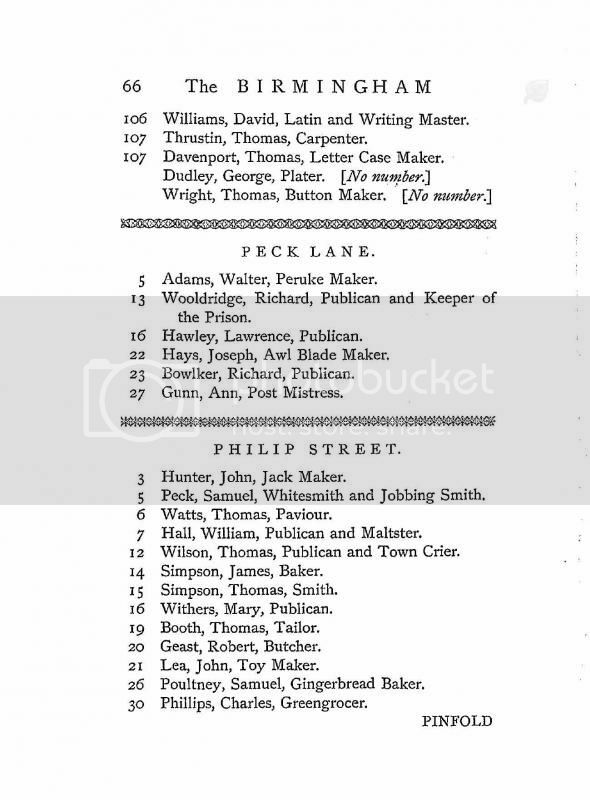 The following image is a transcription From: ' The Streets and Inhabitants of Birmingham 1770'. and can be found on Ancestry.